God uses broken things to accomplish His greatest work. When David was anointed to be the next king, he was just a boy, the youngest among all his brothers. Little did he know that the next several years would be years of fleeing from Saul whose successes turned into obsessions as a leader who had fallen from God’s anointing. Perhaps David thought, “Why am I living a life as a fugitive?” I am the next king of Israel. 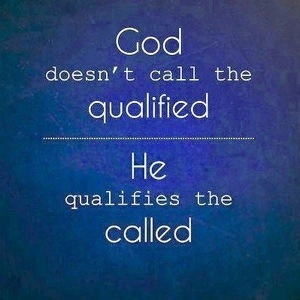 Yet, his life was filled with adversity after adversity before he ever fulfilled the ultimate calling God had for him. Others began to hear of David’s successes and identify with his plight. But, it wasn’t the successful and polished who came to join him. It was “those who were in distress or in debt or discontented” who would be part of his army — and an army it was! His army would become known throughout the world as the greatest ever assembled, not because of their skill, but because of the God behind the army. God turned David’s men into “mighty men of valor” (see 1 Chron. 11:10).